A decade after George Lucas said Star Wars was over, a new trilogy is coming, with Disney buying Lucasfilm. 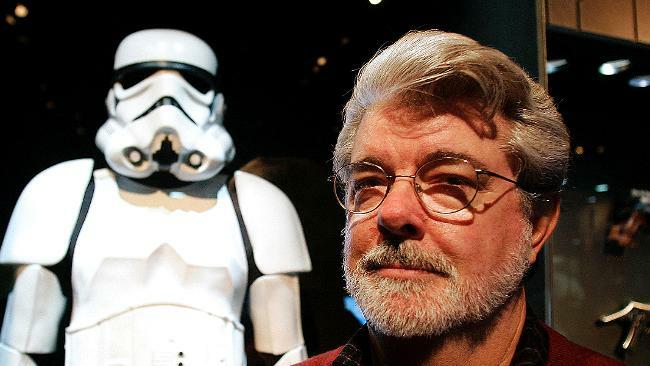 GEORGE Lucas says the $4 billion he made from selling Star Wars will be donated to education. A spokesperson for Lucas told The Hollywood Reporter that the money would be put into a foundation focusing primarily upon educational issues. The $US4.05 billion payout by Disney for Lucasfilm all goes to Lucas: he owns 100 per cent of the business and has little to no debt. "George Lucas has expressed his intention, in the event the deal closes, to donate the majority of the proceeds to his philanthropic endeavors," the spokesperson told The Hollywood Reporter. It is not yet clear if the money will be given to Edutopia, already a part of the George Lucas Educational Foundation, or a new foundation. In 2006, Lucas gave $175 million to his old school, the University of Southern California. In 2010, Lucas declared his commitment to education to The Giving Pledge, a US philantropic organisation. "I am dedicating the majority of my wealth to improving education. It is the key to the survival of the human race. We have to plan for our collective future - and the first step begins with social, emotional and intellectual tools we provide to our children. As humans, our greatest tool for survival is our ability to think and to adapt - as educators, storytellers and communicators, our responsibility is to continue to do so," he stated. On Wednesday, he echoed that promise. "As I start a new chapter in my life, it is gratifying that I have the opportunity to devote more time and resources to philanthropy," Lucas said. Our reporter goes inside the place Star Wars fans can only dream about, and gets a first look at the franchise's new game.